One of the best ways to snazz up a planner layout, journal, or letter is with photos. 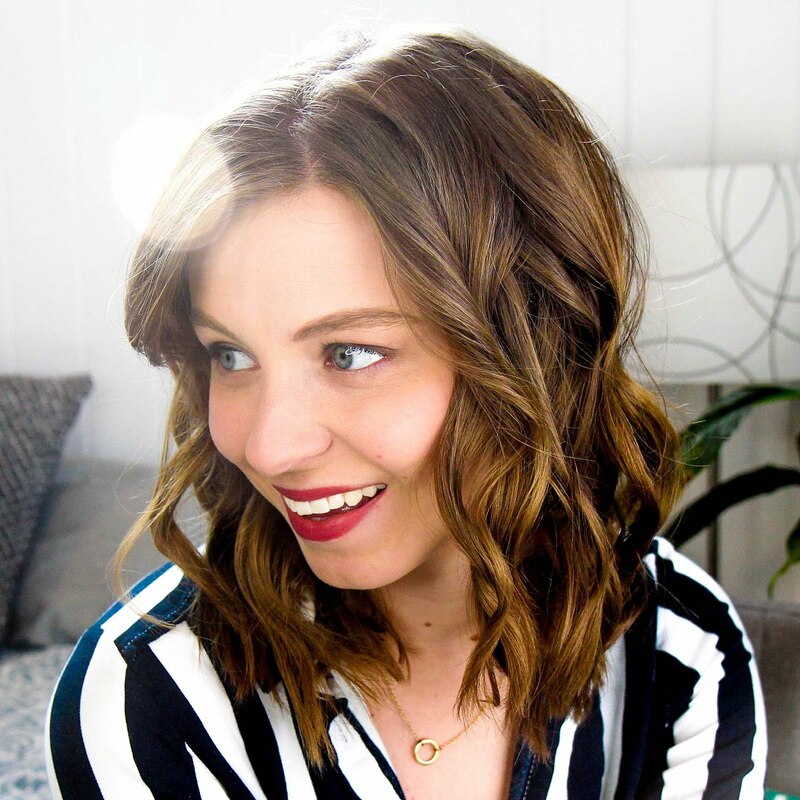 I'm the pits when it comes to scrapbooking, but adding a few photos into a layout is pretty foolproof and adds a scrapbook element that's oh so good. There are quite a few portable photo printers out there, but I'm putting the Polaroid Zip and the Prynt Pocket* head to head. Let's start with packaging. 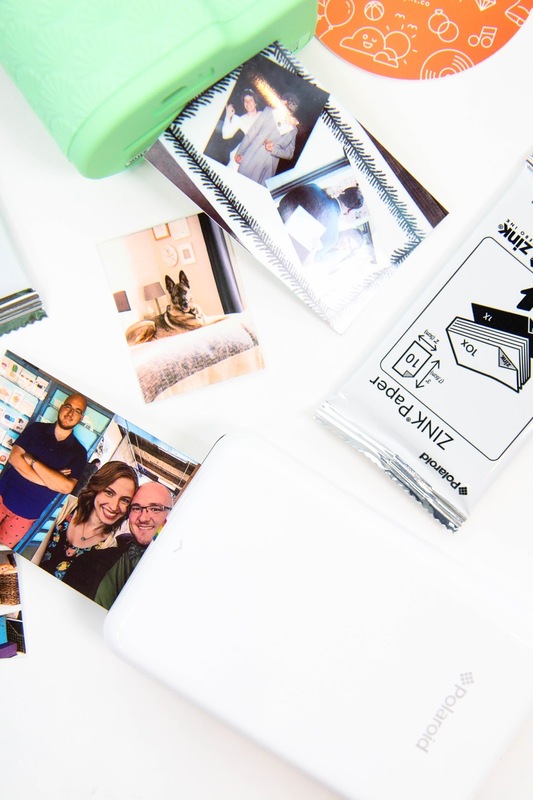 The Zip has a smooth, sleek, and small design that uses bluetooth to connect to your phone to find photos to print. The Prynt is a bigger, bulkier alternative that attaches to your cell phone for printing. Prynt has more color options to choose from while the Zip seems more limited. Both of them use Zero Ink paper, but sadly in two different sizes which makes sharing a paper stash impossible. Both have sticker adhesive backings to their paper to make adding photos anywhere easier. I use the Prynt in a recent vlog if you want to see it in action. Both printers use in-phone apps to print photos and I find the Prynt one to be a lot more engaging and fun. Zip's app is boring and dated and only serves to get the job done. It's not an experience like Prynt is. Plus I've heard updates of the Zip app can be a bit finicky and crash. Good thing I'm terrible at updating my software. Print quality is where these two really start to differ. The Zip has always printed with yellow tones for me while the Prynt is much more blue toned and more like the original photo. I've never worried too much about the coloration of the photos since they more for an added addition here and there, but the Prynt's quality is definitely higher than the Zip if you're looking for a closer match. Yet the most important thing to make this printer worthwhile for use with planners is the ability to add multiple photos to one print. The Zip has a collage function to add as many as nine different photos on one page. The Prynt pocket doesn't. There's no feature to add multiple photos to a print to save paper and get smaller photos to fit into planner spreads better. A huge negative in my book. 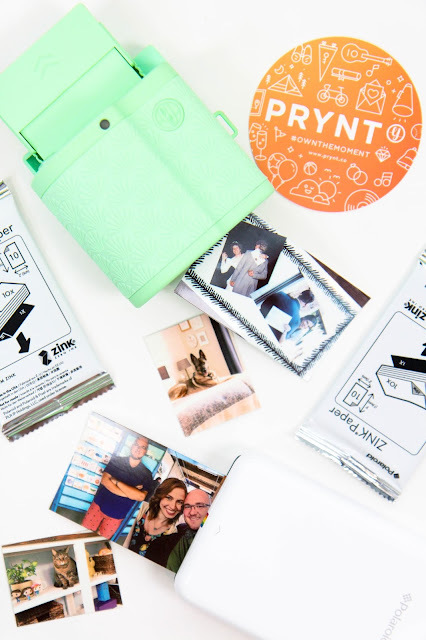 Now to be fair, the Prynt Pocket is marketed as a tool to turn your phone into an instant camera. It's not really intended for heavy planner or scrapbook use. It's more as a party addition to snap some shots with friends and print them out on the spot. Price wise the two differ about $20 with the Prynt being more expensive. I purchased my Polaroid Zip from the Erin Condren website where you can save $10 more on the Zip if it's your first site purchase. A $30 difference would swing my decision one way over the other, definitely when one is tailored more towards planner scrapbooking than the other. As for which one to buy, it really depends on your main intended use. 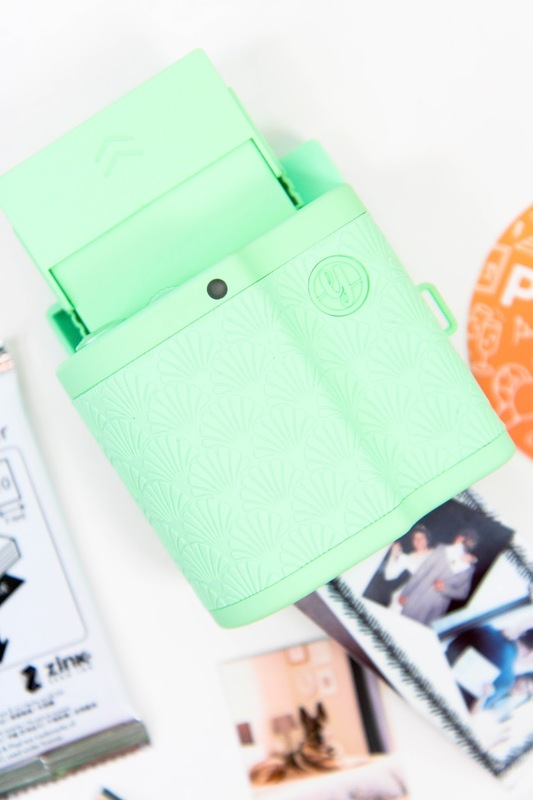 The Prynt Pocket's photo quality beats the Polaroid Zip hands down, but it isn't very planner friendly if you can't adjust the size of the photos or add more to the page before printing. It is a great party addition though to snap photos with friends and instantly get a copy of them. No one prints photos anymore and being able to turn your phone into an instant camera is pretty cool. But if you're like me and really want to add a memory keeping element to your planning, than the Polaroid Zip is the way to go. It's small, portable, and easy to use despite the lackluster attention that went into the app creation. You can always adjust your photos before printing to make them more true-to-color, but I find that it's just too much work for such a small photo. The Zip definitely lacks the "instant" quality of the Prynt. For me, I'll stick with my Polaroid Zip for the bulk of my photo printing and save the Prynt for my next gathering. It'll be a blast snapping random photos with friends and giving them a parting gift. What photo printer would you choose?